Whether your team made it to the most watched, televised sports event this year, it’s probably safe to say you might end up watching the game at home or at a friend’s place. Discover how you (or your friends) can make the 2019 big game cannabis-friendly. You may not be hosting the party or maybe you are. Either way, you don’t want to be empty handed when it comes to game time munchies. Fear not, we’ve rounded up some quick and easy all-star infused recipes to ensure your party won’t go up in smoke. Combine all ingredients in 1 quart baking dish. Bake at 350 for 20 mins. Serve with tortilla chips or veggies. In large microwavable bowl mix cereals, nuts, pretzels, and bagel chips; set aside. In small microwavable bowl, microwave cannabutter uncovered on high about 40 seconds or until melted. Stir in seasonings. Pour over cereal mixture; stir until evenly coated. Impress your friends with a well-packed bowl. 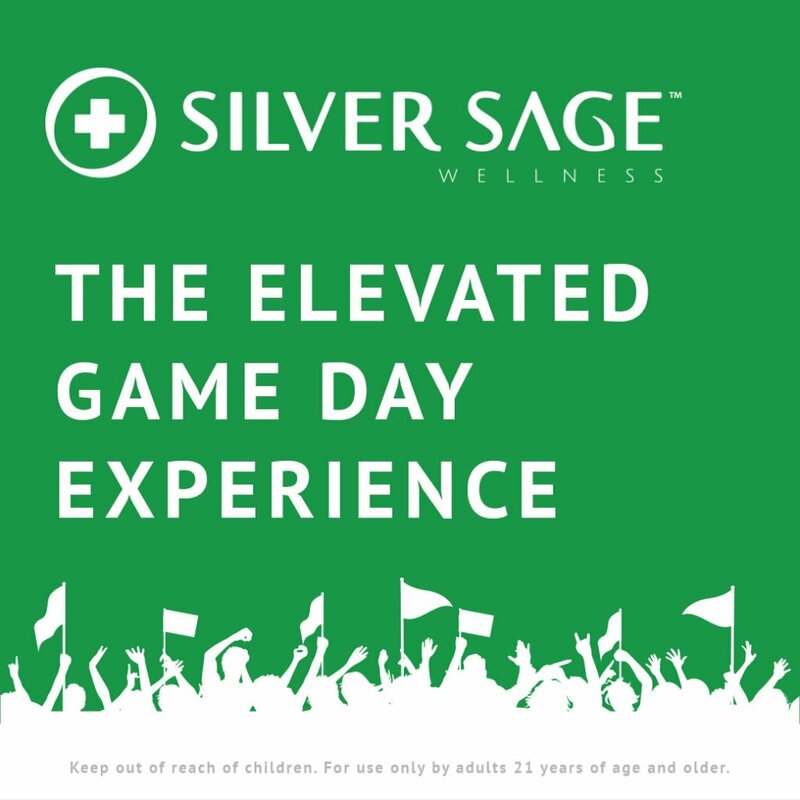 Swing by Silver Sage the Friday before the big game on Sunday and grab 5 pre-rolls for $45 to ensure you don’t spend the whole game rolling your herb. Here are some of our favorite strains to get us in the gameday mood. Blue Dream – The classic strain to keep you calm and mellow during kickoff. Deadhead – Boost your gameday mood with this sativa-dominant hybrid. 707 Headband – For the fan who wants to keep a clear head but still wants a cerebral high. Outer Space – For an energizing and uplifting strain. Edibles make a great addition to any marijuana-friendly party. Silver Sage just received a new shipment of infused beverages. We have CannaPunch and Dixie Elixir drinks in a variety of flavors. Rein shots are a great budget buy at $5 a piece. Beer fans will love Two Roots; we have both the Sonder Blonde Ale and the Enough Said Lager. Bakers Batches are a great way to make your own cannabutter to add to recipes. Just don’t forget to decarb before cooking. At Silver Sage Wellness, we have deals happening everyday. The “Super” deals start Friday the 1st. Same sale all 3 days: 15% off all edibles, Remedy, and Terpx items. Bio-Diesel and Kosher Kush flower are back by popular demand. We also have two new flower strains, Lemonade Dream, which is a Lemon Kush Blue Dream cross, and Strawberry Banana Sherbet. Both are deliciously fruity and taste just like their namesakes. The store has been freshly stocked with some great concentrates as well. Indica fans will love our Holy Purps shatter made by crossing a store favorite Bio-Jesus with Cadillac Purple. Sativa sugar lovers can choose from a new drop of Sweet Beans or Island Time. Whether it’s our dispensary rewards program or deals, we have something for everyone. Stop by today to see what specials we have going to make the most of a party or the most of everyday.